It was 72 degrees when we got up this morning. We had a great walk with a nice breeze. By the end of the walk we were still pretty hot but so much better than when it is 79 like last week. 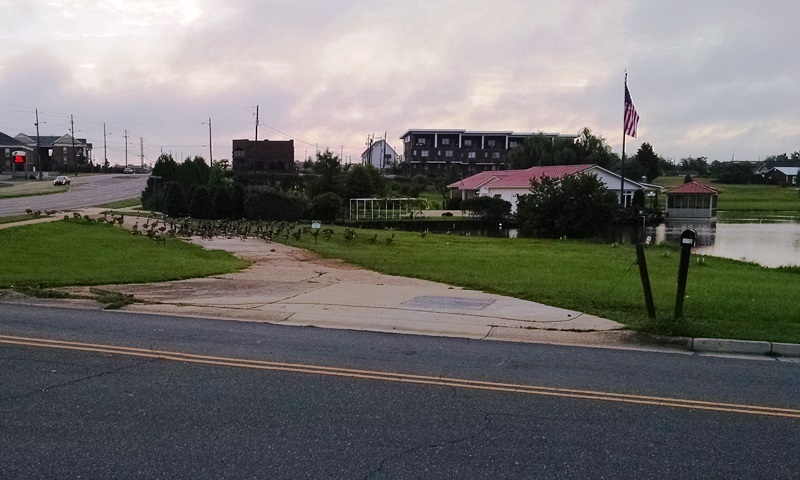 Don’t know if it had anything to do with last night’s storm or not but the Canadian geese were all together on our side of the lake this morning. Of course, we also saw all our baby ducklings that we see every morning on the greenway. After our 3 miles, shower and breakfast, we closed up Fred and headed back to Blount County. First stop was our local farmer’s produce stand for more corn, tomatoes and watermelon. Then we visited with Aunt Helen and Aunt Jean for a while. They were both outside in the courtyard enjoying the cooler morning as well. It was good to see them outside. Aunt Helen even told us today that she wished she could go home but she new it wouldn’t be safe for her to do that. She said that she was afraid she would be there by herself and fall again. Glad that at least for a few minutes this morning she was thinking clearly and understood. She is still bragging about how good the food is and how good everyone is to her. Wish things were different, but guess they are as good as they can be. After our visit we came back to our sticks and bricks to check on things. No damage from the recent thunder storms and only one limb to be moved from the drive. There has been more rain in Blount County than Tuscaloosa and the grass really shows it. 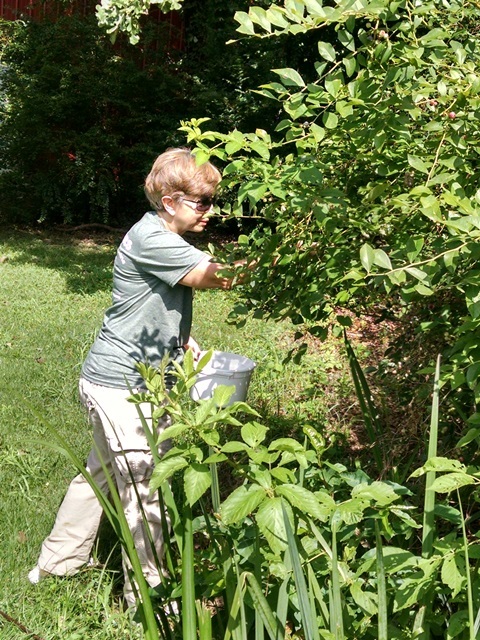 Max immediately started cutting the grass and Anne went to Helen’s to start picking the blueberries. We didn’t bring the good camera today. So, of course, a deer posed for us. 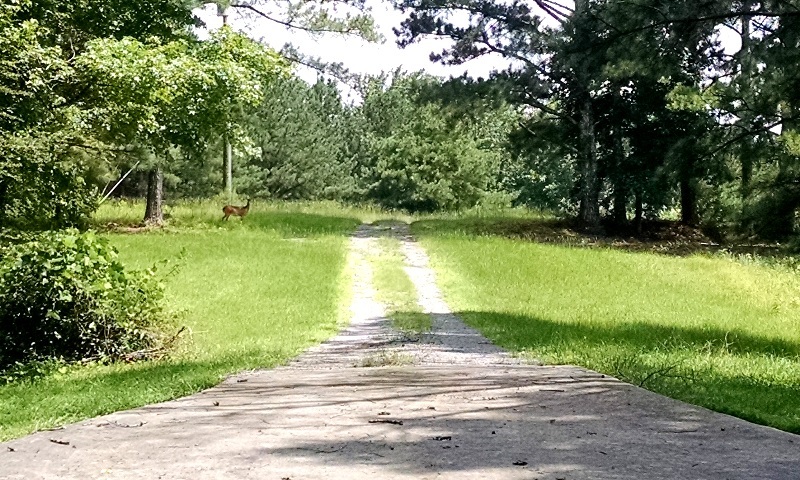 One of our larger deer stood out the drive a ways and just stared at us. Love seeing our wildlife. Then there was the week’s worth of mail to handle, a large stack this time. We had three pieces of mail and all the rest was for the ladies. Hopefully we can get some of that reduced over the next few months. We are looking forward to being back a Lester Memorial in the morning and will be meeting Barry and Donna for breakfast before services. Hope you all have a wonderful Sunday and don’t forget to be praying for the services tomorrow.